Q.Please can you introduce yourself to the NCFA? A brief profile; history, what do you do? Where do you work and why do you do it? My name is Tim Jahnigen and I am the Founder and Chief Innovation Officer at the One World Play Project. But really, I often say that I’m “more idiot than savant!” I’ve always been artistic and creative. Before I started this company with my wife, Lisa, who is our Chief Giving Officer, we had another startup based on a breakthrough medical technology I came up with and before, during and still do, I am blessed to be a lyricist with collaborators many places including NY, LA, Nashville and the UK. 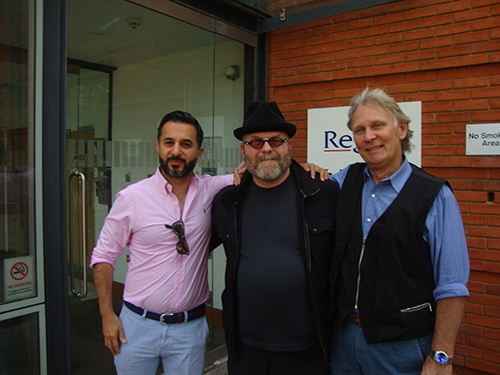 Our main offices are in Berkeley CA, where I live but I travel a lot and we have field offices in Africa and Asia. We are privileged to do what we do because we feel that we have created a simple solution to many of the complex problems that children around the world face on a daily basis. Q. What or who is your biggest inspiration and why? I am inspired by so many different things and people it’s almost impossible to name them all, but really, and sincerely, my biggest inspiration comes from children of the world who live in the most challenging places through no fault of their own followed by the people who work with them through the power of play organized under the idea known as Sport for Peace and Development. But one name stands out for me in this context, and that is the great Arthur Wharton, England’s first professional black footballer. He was so far ahead of his time in terms of skill, personal character and for using his celebrity and extraordinary athleticism to serve humanity in times of crisis and need. In fact, he set the bar so high, it is unlikely that one can find anyone today who has given so much and in so many ways. Q. 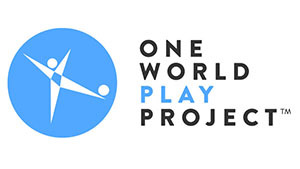 Where and how did the concept for the One World Futbol come about – why is the organisation now called One World Play Project? The One World Futbol was inspired by a heartbreaking news piece about the plight of traumatized children in places like Durfur and other war zones and learning that the unique and universal ability unstructured play has to help children and adults heal and recover their humanity. Though the ball itself ended up becoming the first fundamental change in ball design and technology in almost a thousand years, and while it is a regulation Size 5 and weight for football, it is meant more than just one sport. It is for any form of play that children might want to use it for. We’ve also discovered the broader and ultimately more powerful impact that play itself, in all its forms, has in all human development and the need for other durable balls and products that serve our biological needs in this area, we realized that being called the One World Futbol Project was simply too limited in scope and that we needed to embrace and promote the fuller spectrum of play by including it in our name. Q. Can you briefly explain the kind of organisation OWPP is? Well, once the ball and it’s unique technology was sorted, we needed to decide how best to structure our venture. After months of research and evaluation we discovered a new concept that was a beautiful blend of social impact and agile entrepreneurialism called B Corporations. B Corps subscribe to what is known as the triple bottom line of People, Planet and Profit. It is a rapidly growing global business movement that uses business as a force for good and to show that you can do well and do good at the same time. To that end, among many other innovations we represent, we are an early adopter of the Buy One Give One business model where for every ball purchased one is donated to an organization or community somewhere in a war zone, refugee camp, disaster area or one of the 80 known UN hotspots around the world. Q. Why do feel the National and International Children’s Football Alliance is a good fit with OWPP? To me, the National and International Children’s Football Alliance are a premier example of Sport for Peace and Development at it’s best and it is simply one of our greatest privileges to support it’s vitally important work by giving it footballs that are so durable that they allow the organization to focus on it’s mission, message and programs rather than having to constantly replace balls. Q. How will the Peace Poppy Ball help the Peace Fields Project? Our goal is provide a durable tool and delivery system for not just history, but knowledge and wisdom, as well as leaving a lasting symbol of the unimaginable sacrifices made on the hallowed ground of Flanders Fields. It seems that a partnership between One World Play Project the I/NCFA and the Peace Fields brings together all the elements of the Contextualization Process that the NCFA are known for: Space, Time and Place. Q. How has the world of professional football received the peace poppy ball? Maybe that question will be best answered by history a few years from now. Q. How many footballs have been distributed and to which countries? We are proud that through our Buy One Give One model and our pioneering development of marketing sponsorships, beginning with our founding sponsor, Chevrolet, we’ve been able to deliver just over 1.5 million One World Futbols through approximately 50,000 different NGO’s, non-profits and various other aid organizations in approximately 175 countries to just over 45 million children and adults.